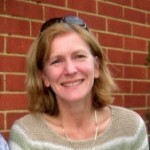 One of our mammographers, Charlotte, takes you through what happens after getting a recall from a mammogram. Oh my god, I’ve been recalled – What now? Try not to panic! (Easier said than done I know) The letter you have been sent is for an appointment at an Assessment clinic which runs every week at the main Breast unit you were screened under, so you won’t be the only one recalled. It is a clinic that brings back women who have recently had their routine screening mammogram for further investigations. Understandably this can be very daunting and the worry is that something horrible has been found! The reality is that women get recalled every week to a clinic like this and the outcome is not always the worst, a recall doesn’t automatically mean you’ve got “it”. There are many different reasons for a mammogram recall, and if it’s your first mammogram sometimes we just don’t know what is “normal” for you so we need to have another look. When you arrive at clinic the first person you will usually see after you have checked in will be a Radiographer who is part of the same team who performed your original mammogram. They will usually do some more X-rays and explain how everything will run at the clinic, where you will wait, and who you will see. But why have you been called back? The radiographers can’t give you the answer yet, but they can explain what sort of x-ray they are taking, and which side is under question, left or right. Next the Consultant in clinic will have a look at those further mammogram views and call you through for an Ultrasound scan. The consultant, or another of the team, will also clinically examine the breast to see if anything can be felt. Then the consultant will explain to you why they brought you back, what they now think and what is next, if anything! So you will find out on the day the results of your further imaging, however if you require some needle test this takes a week for the results to come back and an appointment will be made for you to come back the following week. I know! A week! That is a long time to wait especially when you’re petrified of the results, but the tests need to be sent to the lab to find out if the cells are normal or not before a result can be decided. If you do have any needle tests though you will see a breast care nurse who can try to answer any questions you may have and explain anything you may be unsure of. Have you ever been recalled? What was your experience like? Was enough information given? Has being recalled affected your next screening experience? Let us know, comment below or ask here. This entry was posted in Breast examination, Breast screening and tagged assessment, mammogram, recall. Bookmark the permalink. I had the recall letter and thanks to the accompanying leaflet I knew the numbers above and did not panic. The team were really excellent explaining why and about the further tests and examinations. I was recalled for a biopsy as there was a very tiny area of concern. It was so small it could only be seen with magnification. Nothing was found on the first biopsy so I had to return for a different type of biopsy to be absolutely sure. 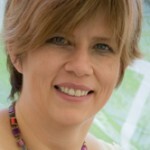 Eventually the results came back as DCIS – a very early pre-cancerous change. I had a small operation to remove the area followed by three weeks of daily radiotherapy. I had only a short time off work and the radiotherapy appointments were arranged around my working day. So 18 months later I am fine. It took a while to fully take in what happened and I had some fatigue. But although it is unknown how many people with DCIS will progress on to other stages of cancer, I might not have ended up getting it, I am still young with children, husband and career. I did not want to run the risk and consider mammography to have saved my life. As mammographer, It is what we do! So often women ask if we get bored doing ”this”all day..well we do not as we could save a life. Thank you for sharing your positive story. We hope it helps others too. The NHS Breast Screening Programme routinely invites women aged 50-70 years for screening every three years. I live in an area where the breast screening unit and my GP are involved in the age extension study. So, this week, out of random, no symptoms, I decided that I would have my first mammogram as part of this study. My very first mammogram, didn’t hurt at all – which surprised me, as you hear so many stories about it hurting. I was recalled (the next day) for a possible cyst (you can’t stop worrying incase it isn’t). 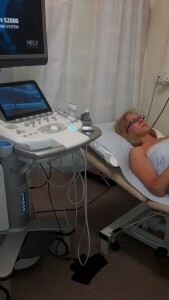 The next day, I had a digital tomosynthesis (3D imaging), followed by a clinical breast exam and an ultrasound. The ultrasound confirmed a ‘simple cyst’, which I had drained (without local anaesthetic, it was not painful at al). I am glad I took part in the age extension trial at age 47. Everything was explained really well and the service and whole experience was positive. I would encourage women to take part in the age extension trial (47-50). I would have otherwise had to wait until age 50 for an invite. You don’t have to have symptoms to take action. That’s good to hear that you had a positive experience even though you expected the #mammogram to be like the stories you heard. Thank you for sharing a much more common story that doesn’t get told enought. Most #women do describe it as tight. .but not as bad as the stories! 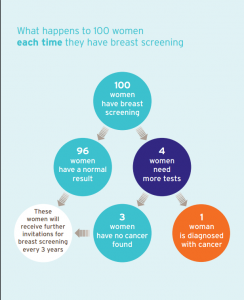 Being a ” well woman ” is the time to be part of #breastscreening. Any #woman or #man should feel that it’s OK to get breast concerns checked out. Thanks for sharing your experience, Yasmeen. You have experienced breast screening in an efficient and positive way, and that is so good to hear. I agree with Julie, being a ‘well woman’, and taking part in health screening should be more of a priority for most women; and by spreading positive messages and experiences like yours can help keep more women well. Just thought I could share my recent experience with women who might be feeling a little anxious. Four weeks ago I found a very small hard lump in my left breast, I waited a week then made an appointment with my GP, after an examination my GP thought it would be wise for me to be referred to a specialist at a breast clinic. An appointment was made for a mammogram a week after seeing the GP. Morning of my appointment at the hospital I was so nervous and told my husband I wanted him to go to work and I would attend my appointment on my own. There was lots of supportive partners sitting waiting and surprisingly lots of women of various ages on their own. I felt I made the right choice for me to attend on my own. I was called through by a health care assistant who greeted me and took me into a room and asked me to undress to my waist and to put a hospital gown on. Reassuring me that the consultant would be in very soon. A beast examination was performed and various questions asked. Then he told me that it would be recommended to ha e a monogram and an ultra sound and to sit in an all ladies waiting room until I was called for my mammogram. The mammogram did not hurt at all, which I was dreading as I have large breasts, it really was ok. I was then asked to wait for my ultra sound scan. During my ultra scan they found an cyst which was drained with a needle and honestly I did not feel a thing. I was asked if I had an recent injury to my breast as their was abnormal showings on the ultra scan. I said that I can’t remember having any injuries to that area. They examined me for a long time talking to each other. They told me that it didn’t look anything to worry about but thought I should have a repeat one as this was my first check up. They think it looks like breast damage tissues but couldn’t say 100% that it was so needs repeated. The idea is that the damage tissue should heal before my next scan which will be in March if not then I will need a biopsy. I have my appointment with the consultant end of March. I am not too concerned, I am getting all the care and treatment I need. I am nearly 47, I think this service is a must no matter how scared you might be. Thank god for wonderful staff and the NHS. Just had a recall and feel very anxious. My very first mammogram was a recall and i had cysts which they got rid of straight away. My next 3year appointment was clear. Now the 3rd screening is another recall. So worried and scared. Hi Susan…what was the out come of your recall for further assessment? I’ve judt had a routine mammogram (at 49 as part of 46-50 programme) and have today received the recall letter for next week. I did have a mammogram once before about 5 yrs ago as part of a original care height check up and was also recalled then, but the consultant felt sure at that stage that the lumps were blocked milk ducts. However, I’m now really worrying in case they were something more sinister and have now had 5 yrs to grow without any further checks. My left breast has been painful and felt ‘heavy’ for about a year, but as I kept reading that painful breasts were not a symptom of cancer I’ve kept pushing it to the back of my mind. Now feeling very stupid that I’ve ignored it. 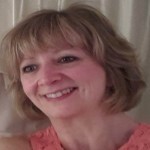 Hi Tracey, thanks for sharing your experience on the site, I’m sure that it will help others when searching for information about what happens at the breast clinic. I’m glad that your visit reassured you; your clinicians are clearly being cautious and checking you out again after a period of time has passed, that’s a sensible approach in light of you not remembering any relevant trauma that could have caused breast damage in that area. What was the outcome, if you don’t mind me asking? Hi Andrea, how are you doing? It is such an anxious time, having a recall to clinic, isn’t it? I appreciate that you must be feeling really worried, I’m sorry that you’re having to wait till next week for the clinic appointment: it’s a fine balance between letting you know early enough so that you can organise time to attend clinic, but not so far in advance that the worry is over a long period of time. When you get to clinic, the staff will be very used to everyone being anxious, and they will do their best to get you through the process as efficiently and as kindly as possible so that you don’t get even more anxious. Bear in mind that not everyone who get s recalled will have a problem, it may just be that the original mammograms weren’t able to show part of your breasts in enough detail for the image readers to be certain that it was normal. There will be good support at the clinic, but do prepare for a long wait at clinic, as each case is individual, and some people take longer than others to get through the system. Ask questions of the staff, but something that won’t be answered straight away is ‘what is it?’, as you have to have all the further tests (more mammograms, ultrasound scans, clinical examination) before that particular question can be answered. Is there anything the WoMMeN team can help you with here? I was recalled after my first mammogram last August and it was a bit of a shock! I’m an endurance athlete who runs ultramarathons and considers herself fit and healthy (not bad for 51) so this was unexpected and scary to say the least. The Breast Clinic staff were marvellous and looked after me very well – I underwent a second mammogram, breast examination, ultrasound and then a needle core biopsy as there was an ‘area of concern’ which was 5mm but they weren’t certain if it was cancerous or not. It was an anxious wait for the results (never easy for anyone) which turned out to be a pre-cancerous area called Lobular Carcinoma in-Situ (LCIS). The word ‘carcinoma’ frightened me but the breast nurse reassured me saying it would be removed via an excision biopsy. That was done in a very caring and professional way. I have to undergo an annual mammogram for the next 5 years as a surveillance patient so am being looked after and can’t thank the Breast Care Unit and the NHS enough. I dread to think what might have happened if I’d never had a mammogram. I was told that LCIS doesn’t usually develop into cancer but there is always a risk it can do which is why they remove it. It was a frightening experience and not something I’d wish to go through again but if I do, I know I would be in good hands. I think all I’ve read here has helped so thank you everyone. Of course it doesn’t alter the fact that a recall is not what you want, I’ve just been recalled. Knew by the size of the envelope. All the literature etc is reassuring to a point but the bottom line is that your mind continues to return to worst case scenario. Extra worry as my husband is recovering from heart surgery, now this!! My recall appt is next Monday so anxious few days now – par for the course. A previous recall was due to my having had a mammogram at a different unit and the two views looked “different” no such occurrence this time so increased fear I’m afraid. Feel like I’m watching myself from afar just now…. Update to the above. Have now attended my assessment including repeat mammogram, only the left breast as this had an area of “concern”, another frightening word when you’re already scared for your life! I then went for an ultrasound scan, again just left breast. The Dr was so very kind, gentle and reassuring, she talked me through my mammogram views and then said she thought the area in question was a cyst and she really wasn’t unduly worried. This sentence alone lifted a huge weight from my mind, although obviously I still had ultrasound confirmation but following the scan the Dr again reassured me that she couldn’t see anything sinister and I could leave the clinic. I do have to wait for a letter following a routine second opinion, but I can’t express how truly relieved I am – my entire family also. Just highlights the absolute importance of screening. I am in Australia and have been recalled too. I am 71, and here in Australia we have free mammograms every 2 years after 50 years of age. My daughter who is a Radiographer/Ultrasound has assured me that being recalled for 3d imaging and ultrasound does NOT necessarily mean that cancer has been seen. There are many reasons for changes in breast tissue. That is what a recall will clarify. Take heart, try not to be anxious and trust the statistics! That is what I am trying to do.